Atma addresses the lack of capacity in India to effectively provide Quality Education to all children. 20% of India’s poor have no access to education. 86% have no access to technical and vocational training; 45% drop out before eighth grade. By 2015, 65% of Indian population will be youth.By 2050, 50% of the world’s illiterate will be in India. In the face of these startling statistics, Atma aims to bridge the education gap through collaborative partnerships. 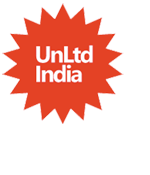 UnLtd India is an incubator for social entrepreneurs. Mimaansa partnered with UIF to complement their education program. MImaansa identified students with learning disabilities from UIF and provided necessary education plan for each child. Prerana supports Mimaansa's program at TMC's Marathi Medium school no 102. It is an organisation by the wives of the officers of The Shipping Corporation of India. Prerana has been working in the fields of education and health since 1994.